A reliable, effective backup solution and IT recovery plan is critical for any business. Ever increasing security threats and cyber attacks have made backups of paramount importance. Recent advancements in backup technology has enabled us to offer advanced, automatic backups featuring rapid recovery facilities for business continuity. How long would full system recovery take from your existing backups? Our latest business continuity & backup solutions provide immediate access to your data and so minimize downtime in the event of a disaster. Our backup solutions include an on-site and off-site component. Backups are carried out automatically so there’s no need to change tapes or disks. Off-site backups are stored securely in the cloud. Enjoy peace of mind knowing all your backups are monitored daily and that our support team will take immediate action to resolve any backup issues or failures. Time is critical when dealing with an IT disaster. Our experienced engineers can be relied on to competently restore your system so your business is up and running again as quickly as possible. You can depend on Impact Computing to effectively deal with any IT disaster situation you experience. Our solutions are designed with backup and recovery in mind and our experienced engineers are trained in system recovery. We will work with a sense of urgency to restore your systems as quickly as possible. You can be confident Impact Computing will be there when you need us most. We include an on-site backup with all our supported systems and for added backup resilience, we also offer a daily off offsite backup to the Cloud. There is a period of downtime when performing a full recovery from standard backups. We therefore recommend our business continuity solution over standard backups as it offers many additional features, including hourly backups and immediate access to your data to minimize downtime. A business continuity solution from Impact Computing utilises both on-site and off-site server replication. By constantly making copies of your live system to multiple locations, we can ensure business continuity by providing access to your systems with minimal downtime in the event of a disaster. 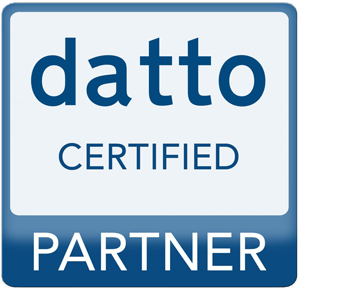 As an authorised Datto Partner, we are able to design, install and support a business continuity solution for your business, to offer you the fastest possible system recovery time.